Our infertility laboratory uses state of the art equipment to optimize results for our lab tests and procedures. Our team is dedicated to helping you achieve your dream of parenthood. The laboratory is inspected yearly by the College of American Pathologists. Our facility is kept up to the highest standards. We are an approved facility of the College of American Pathologists (CAP approved facility). "The College of American Pathologists is dedicated to quality medical care for the American public." Tarek Abozaid is the Embryology Laboratory Director and the Laboratory Manager at IVF Michigan Rochester Hills and Flint, PC. 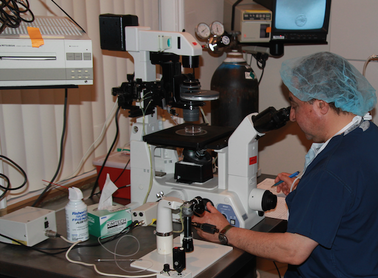 He has been with IVF Michigan for over 20 years performing all aspects of Embryology and Andrology. He is certified as Embryology Laboratory Director by the American Board of Bioanalysis and Technical Supervisor in the discipline of Embryology and Andrology. He has several publications and abstracts and he also is a team member inspector in the College of American Pathologists. ​Membership: He is an active member of the American Society for Reproductive Medicine (ASRM), the European Society for Reproductive Medicine, the American Association of Bioanalysis and the Society for the Study of Reproduction. Education: Tarek Abozaid received a Bachelor of Science Degree from Ain Shams University, Cairo, Egypt, with a major in Microbiology and Plant Pathology. He was a senior embryologist at IVF Michigan, Rochester Hills, Michigan and Hurley Medical Center, Flint, Michigan. Abdelshahid Magar has been working as an embryologist in the IVF laboratory for IVF Michigan Rochester Hills & Flint, PC since September 2016. He earned his Bachelor of Science Degree from Cairo University. Mr. Magar has over 15 years experience in Embryology and Andrology and in the IVF laboratory. Over the years he attended different workshops in the Spain and in Denmark. Swati received her Bachelor of Science in Microbiology. She also is a certified Medical Laboratory Technician by the American Society for Clinical Pathology. She has 20 years of experience as a Medical Lab Technician. She always has been great at multi-tasking and enjoys learning new things. She is a reliable team player. With excellent skills, education and dependable professionalism, Swati recently joined our Andrology team, where she feels that she can place the needs of the patient first. Nabil Hussein Radwan graduated from Cairo University with a degree in accounting, and a diploma in Systems Analysis and Statistical Methods. He has held a career in management, accounting, and public relations since 1972. 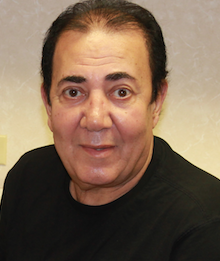 Nabil joined IVF Michigan in 2005 in the research department and is responsible for embryology data. Dr. Khan, Scientific Director of Laboratories at IVF Michigan is a world leader in the field of embryology. His technical expertise as an embryologist is well known, and he is the driving force behind the highly successful IVF lab at IVF Michigan. Dr. Khan is certified as High Complexity Laboratory Director (HCLD) through AAB. He is also a certified IVF laboratory inspector of College of American Pathologists. Dr. Khan has published more than 100 articles and book chapters. Education: Dr. Khan received M.Sc. from Bhopal, India and Ph.D. from the University of Ghent, Belgium. He completed his post-doctoral research at Imperial College, University of London, England, and the University of Wageningen, the Netherlands. Prior to joining IVF Michigan in 1998, Dr. Khan was Director of IVF/Andrology Labs at F.I.R.S.T. IVF, Saginaw, Michigan (1990-1998). He has also held the positions of Senior Embryologist at the IVF Institute of Vilvoorde, Belgium (1983-1986), and Senior Embryologist at the Center for Reproductive Medicine, Academic Hospital VUB, Brussels, Belgium (1986-1990) under Prof. Dr. A. Van Steirteghem. During this time, Nobel Laureate Dr. R. Edwards was a visiting professor at the Academic Hospital. Dr. Khan was instrumental in teaching embryology to many scientists, including Dr. Gianpiero Palermo, who later discovered Intracytoplasmic Sperm Injection (ICSI). Awards: In April 2014, Dr. Khan was named Embryologist of the month by the American College of Embryology. Trupti has a Bachelor of Science from M.S. University of Baroda, India and Associate degree in Medical Assistant from Macomb Community College. She has been with IVF Michigan for ten years. Trupti also enjoys working with the Andrology and Embryology staff doing data entry, assisting nurses during 3-D scan and ultrasound or simply assisting patients the in operation room. Giving patients comfort and making them feel at ease with a smile while they are in lab is what she cherishes the most. Swati Ray is a Medical Lab Technician at IVF Michigan Rochester Hills & Flint, PC . She has 20 years of experience in Hormonal testing, Hematology, Chemistry, Immunology, Microbiology, Phlebotomy. She has worked as a supervisor in a laboratory settings. She received a Bachelor of Science Degree in Microbiology and also studied Phlebotomy and Medical Terminology. She is certified as a Medical Laboratory Technician by the American Society for Clinical Pathology. Our facility is accredited by the American Association for Accreditation of Ambulatory Surgery Facilities, Inc. (AAAASF) and the College of American Pathologists (CAP).